We are committed to providing yoga for every body. Whether you are new to yoga or a seasoned practitioner, you are sure to find a class that will meet your needs. Our group yoga classes range from gentle to challenging, with relaxing, restorative classes, as well as the most intense practice imaginable. 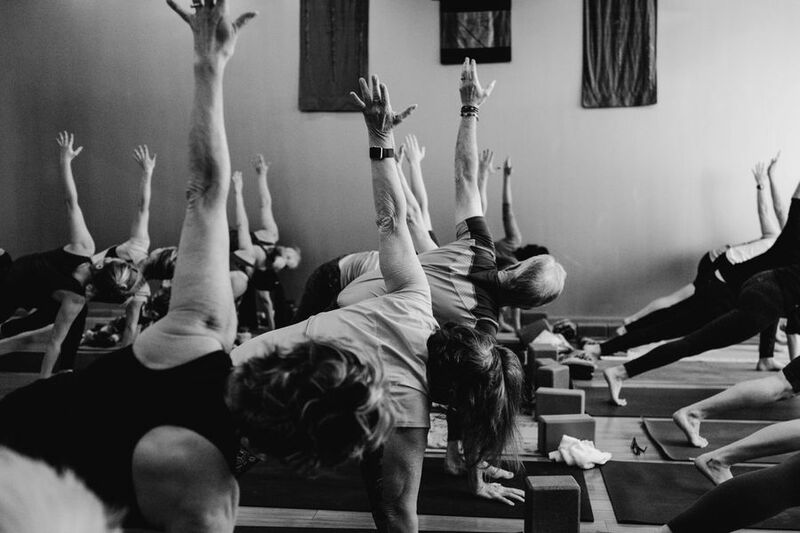 We offer specialized classes such as kids yoga, prenatal, post natal, yoga for therapy (rehabilitative), adaptive yoga (for those with special needs), yoga for athletes, seniors and hot classes. In addition to yoga classes, we also proudly offer barre and pilates classes. View today's schedule below for both Virginia Beach and Chesapeake locations or select the "locations" drop down to filter by location. Not sure which class is right for you? Click on the class title for a brief description.